Since I've had sushi rice in the pantry for months, I thought today was as good a day as any to try some home made sushi. 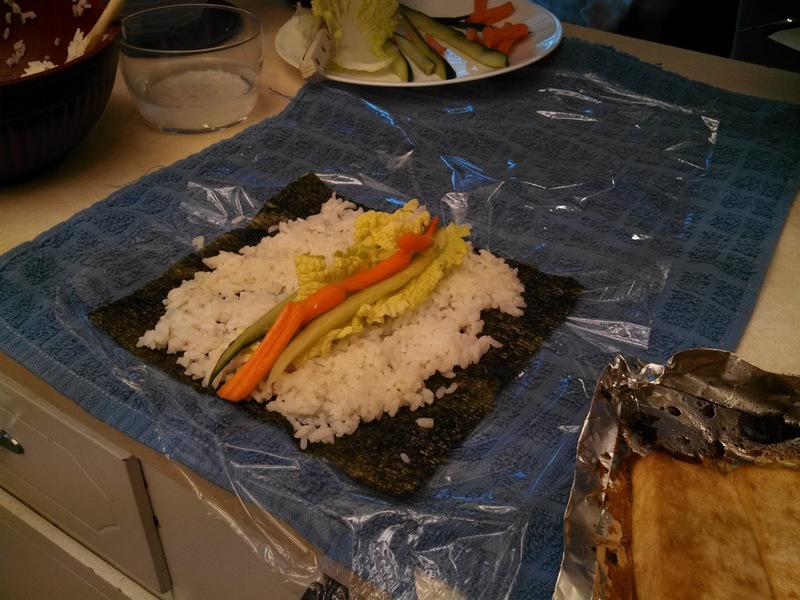 So after returning from the grocery store with fresh vegetables and nori (seafood wrap), I decided to get wrapping. I'm not a huge fish fan, and I've always shied away from sushi involving raw fish. 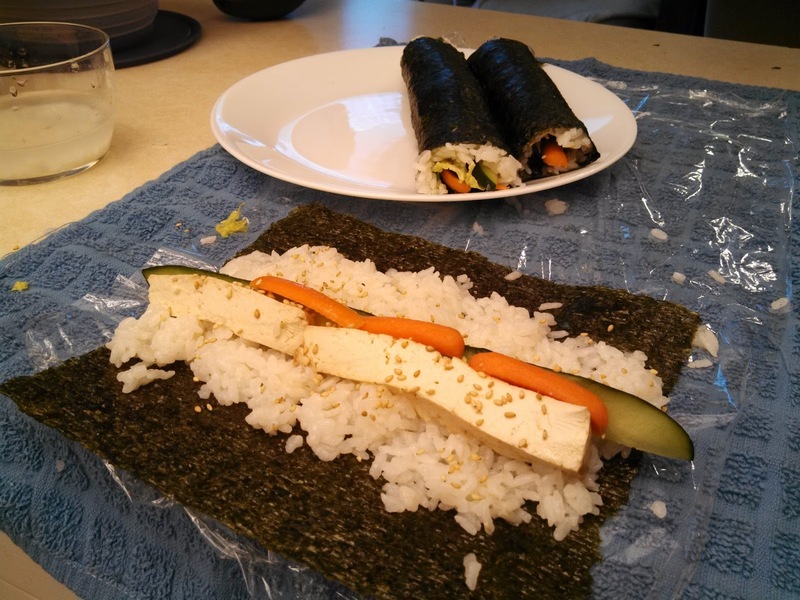 I've mostly just stuck to California and cucumber rolls, so all I planned on making was veggie sushi. There was a bit of preparation that went into the sushi rice, and I'm pretty sure I used too much rice vinegar when making the sushi vinegar. 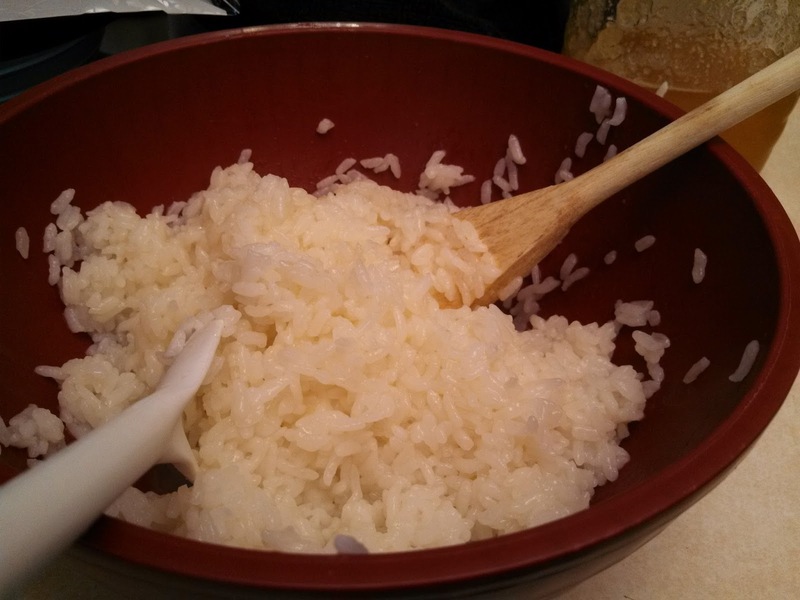 But, even if the rice is a little too vinegar tasting to me, I decided to use it anyway. Anyway, I placed some cucumber, carrots and cabbage on my first roll. As you can see, I didn't have a bamboo mat, so I made do with cling wrap and a towel. 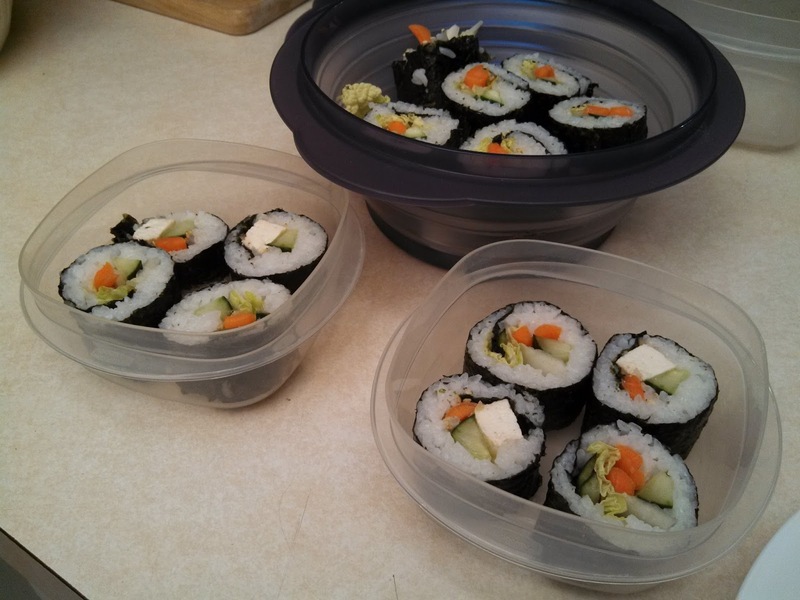 By the third roll I decided to add in some tofu I'd baked. I like my tofu very firm and over baked. But for this recipe I thought I'd make it how you're supposed to. The sushi turned out alright. It is a little strong on the vinegar, so I'll know to adjust the next time. But I have some rolls to take with me the next several days for lunch, so I consider this mission accomplished!